When Michel Chapoutier mentioned in 2011 that he was considering planting a Chasselas vineyard in the UK, some may have thought this was the ultimate insult to “le vin Anglais” – the famously neutral variety is increasingly ostracized in French vineyards, and is so disliked that even when it appears in blends it is never mentioned on the label. Was Chapoutier cocking a snook at the British, or just trying to divert attention from his purchasing strategy? Chasselas is one of Europe’s most widely planted white varieties, but it’s more likely to end up in a juicer or a fruit basket than in a winery. Romania, Hungary and Russia contribute heavily to the 38,000 hectares (94,000 acres) in existence. Germany and France also have sizable amounts, but only Switzerland persists in toting it as a quality wine variety. My own experiences before this year were not promising. Preparing to visit Switzerland for the Digital Wine Communications Conference 2014, I tried a few random bottles, almost all disappointing, flat and hollow. In fact this hole in the mid-palate seemed to be a Chasselas trademark. Surely there must be more, I told myself during tastings at the conference, and after on a short trip to Valais – Switzerland’s largest and most important wine region. The conference theme was “wine in context”, and there couldn’t be a better example than Chasselas. As I tasted my way around 50 producers in a hectic, hot and stuffy foyer, I couldn’t get my head around what the magic might be. Minerality? Elegance? 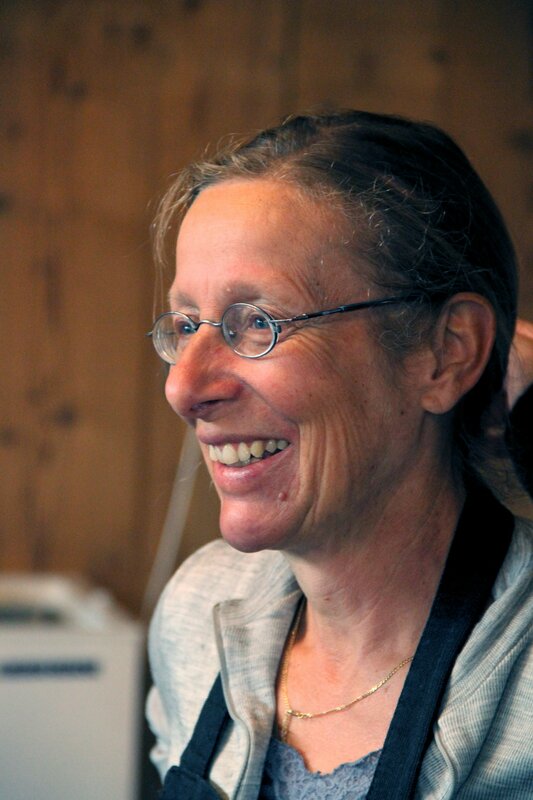 For me it was all about Switzerland’s much rarer indigenous varieties – Heida, with its distinctive gewurz-like aromatics, full-bodied Completer or creamy Humagne Blanc. The penny didn’t drop until two days later, on a bright November morning near Vétroz. Jean-René Germanier’s restored Vex vineyards are set in a jaw-droppingly beautiful natural amphitheatre, situated amidst snow-capped mountains and idyllic countryside. A footpath descends almost as steeply as the vines, reaching the base of the vineyard after 20to 30 minutes walking. What could be better than being handed a glass of chilled white wine after this mild exertion? I didn’t see the bottle, but what I had in my glass was floral, fresh, crisp and hugely satisfying, with a smooth and elegant finish. Quite delicious, especially with the bright sunshine highlighting the autumnal colour of the vineyards, and the fresh alpine air filling my lungs. Yes, this was Chasselas, and I was lapping it up like a cat with a saucer of milk. Delicacy, some would say downright reticence on the palate, is Chasselas’s blessing and its curse – lacking any innate assertiveness, the variety is a perfect mirror of its terroir and growing conditions. 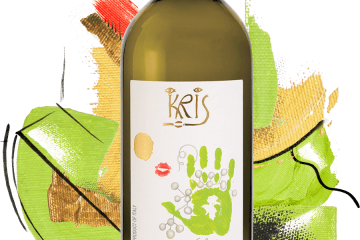 Chasselas is both an early ripener and a bountiful producer, both factors which endeared it to quantity-minded cooperatives in the post-industrial age. Plantings increased dramatically during the early 20th century, in preference to far more characterful but difficult-to-grow varieties like petite arvine and Amigne de Vétroz. As of 2009, Switzerland had an impressive 4,013 ha. That something as neutral as Chasselas could displace Petite Arvine, with its distinctive honeyed profile and nervosity was just another nail in the coffin as far as I was concerned. It would be like having all of Friuli’s Friulano and Malvasia transplanted with Pinot Grigio. Perhaps it’s apt to compare Chasselas and Pinot Grigio – both are responsible for large amounts of decidedly ordinary “quaffing” wine, and both suffer immeasurably when they are overcropped. But where Pinot Grigio tends towards a certain fatness, with rather sweet, anodyne fruit, Chasselas from high yields tends towards… nothing. There isn’t even a great deal of acidity. Was my “in context” experience chez Germanier just a flash in the pan? 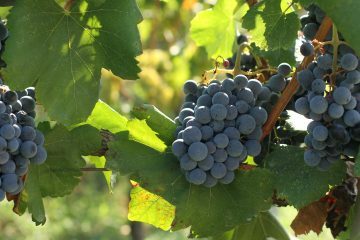 The Valais region has a special name for its Chasselas: Fendant, meaning “splitting”, describes the behaviour of Chasselas’s best clone when you squeeze the grape. Inferior varieties burst rather than split, apparently. Domaine des Muses’ Robert Taramarcaz describes Fendant as “the Champagne of Switzerland”, partly due to the prickle of CO2 that is typical. An attractive spritz transforms the palate into something that kept appearing in my tasting notes as “cream soda”. This is in no sense pejorative, rather a perfect marriage of texture and freshness. 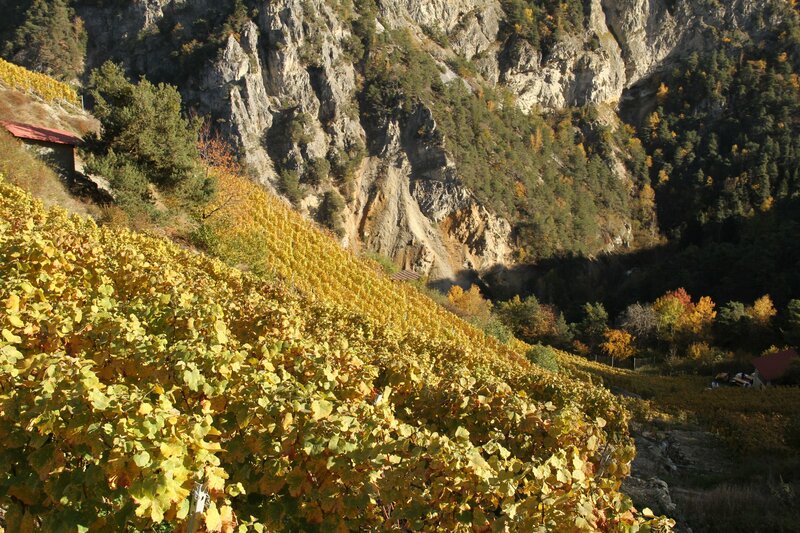 Domaine des Muses is situated in Sierre, one of a select number of villages famed for its superlative Chasselas. I could clearly taste the quality, but the influence of terroir was still eluding me. Simon Maye & Fils had the answer. This small family estate has an astounding 50 parcels of vineyards, making up a scant 12 hectares (30 acres) in total. That’s not unusual in Valais, as inheritance laws requiring the equal distribution of land amongst offspring can very quickly parcellate the landscape. Jean-François Maye explains the family’s approach to Chasselas: “We vinify three single vineyard examples as we want to show just how sensitive Chasselas is to its site” – and sure enough, Fauconnier, Trémazières and Moette are all markedly different, ranging from the simple green apple and blossom of Fauconnier, to the notably saltier and more lifted Moette, grown on terraces at high altitude. The Maye family not only convinced me that Chasselas can be a vin de terroir, but also showed a mature example, a 1992 Moette which was astonishingly well preserved. Still tight and mineral in character, the texture seemed a little broader, with some herby green plum and pear fruit. A common theme with these wines, and most if not all of the best Chasselas I tasted, is that malolactic fermentation is avoided. Perhaps this goes against the Swiss idea of Fendant as a super soft, easy-going wine, but it seems vital to preserve freshness and vitality. I was getting dangerously close to becoming a Chasselas fan, but there was still an issue. Some of the most pioneering estates in Valais don’t bother with this variety at all. 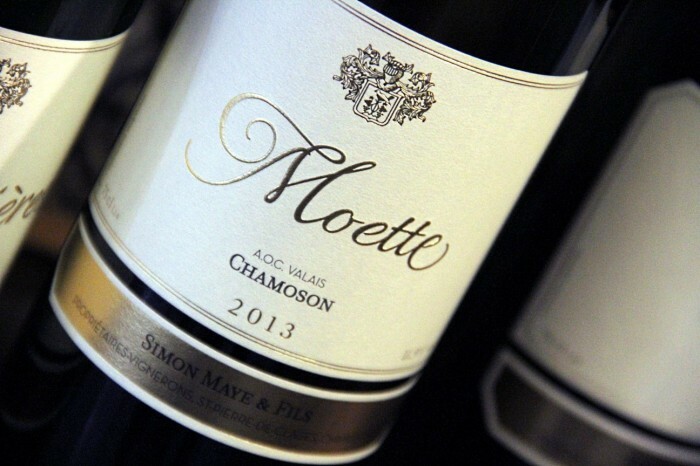 Chanton Weine is a specialist in rare varieties (José Vouillamoz calls them “archaeologists of wine”), and one of very few vinifying a 100% Gouais Blanc – an extremely important variety historically, as it is the parent of some 80 modern grape varieties. Chanton’s vineyards climb to 800 meters (2,600 feet), and their Himbertscha, Lafnetscha and Heida are all superb, characterful wines – certainly not mere curiosities. But there’s not one hectare of Chasselas in the estate. 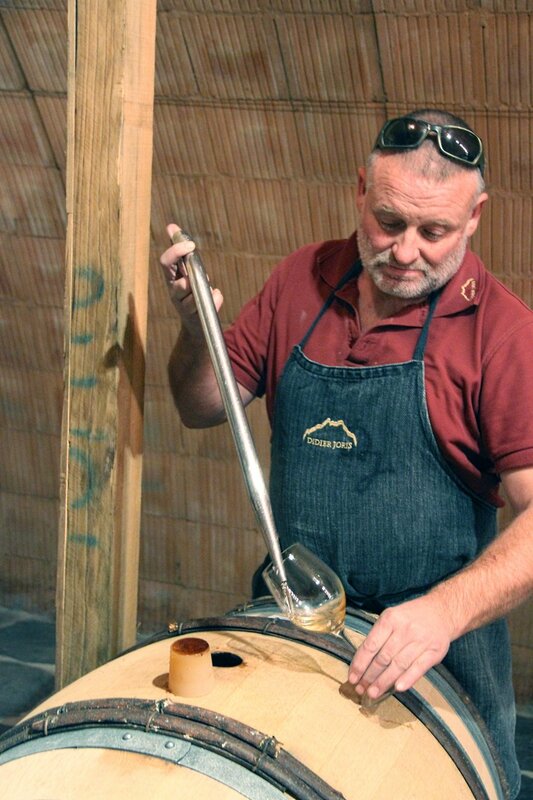 Similarly with Didier Joris, a celebrated, radical oenologist who has mentored many other winemakers in Valais. Joris is obsessed about keeping his yields low, which he tells me is the key factor for his extraordinary Heida – a flinty, structured wine with none of the oily heaviness that this variety often develops. Joris’s 3 hectares are devoted to Amigne, Cornalin and super-rarities like Diolle (Joris has a 300 meter plot with the world’s only extant vines, which have yet to reach maturity). Joris and Chanton are seminal producers in Valais, people who believe passionately in the region’s traditions and heritage. If they don’t regard Chasselas as important, where did that leave me? There’s no sign for Marie-Thérèse Chappaz’s winery in Fully, you just have to trust as you climb the steep winding road up the mountain. 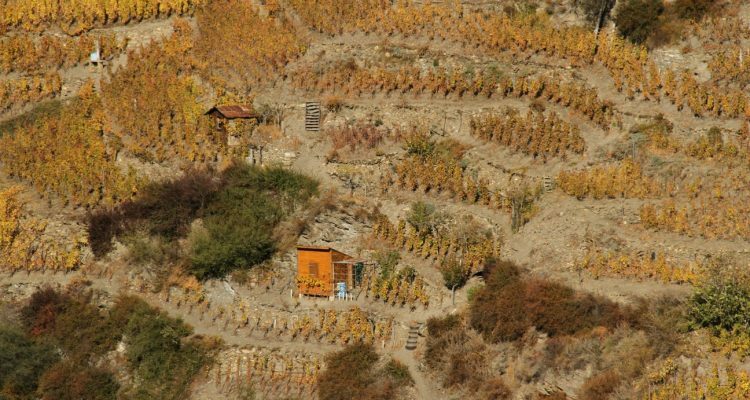 This small biodynamic estate (10 ha) is one of the most celebrated in the region. The only issue is getting hold of the wine, as Chappaz sells out every year, and her top cuvées are all but unobtainable. Chappaz is particularly famous for her sweet wines, produced from Ermitage (AKA Marsanne) and Petite Arvine, but she also makes three single vineyard Fendants. The President Troillet 2013 from the Domaine les Claives vineyard was the missing piece of my Chasselas puzzle. Chappaz describes it in her charming and slightly impish manner as “un fendant solaire”, and it’s joyful as the sun, full bodied, superbly expressive and floral. The purity was astounding. It felt like drinking the fresh mountain air that swirled around Chappaz’s chapel-like wood-built tasting room. I needed the context of Switzerland’s extraordinary alpine vineyards and drop-dead gorgeous scenery to put Chasselas’s appeal in context, but now I’m smitten and salivating for another sip of Fendant. This is the wine that starts the evening, refreshes the palate and breaks the ice. It may be shy and retiring in terms of flavor, but make no mistake, Chasselas from a good grower is as moreish and life-enhancing as the mountain air. Given that Switzerland exports a mere 1% of its production, perhaps Chapoutier is onto something after all. Many of the producers listed in this article export some lines to the US – check www.wine-searcher.com for details, but Fendants are few and far between. Expect to pay dearly. Disclaimer: I travelled to Valais as the guest of Les Vins du Valais. Accomodation, meals and wines were provided. Thanks Christian, I’m honoured that you enjoyed this – and look forward to hearing about your experience if you manage to track down a good fendant. I found your session at #dwcc super inspiring, even if it’s hard for me to take, as I’m not a natural multi-media person – am happiest with words, which I know makes me a dinosaur. I had some more dramatic photos of the vineyards which didn’t make it into the piece. Need to get them up online somewhere (Flickr probably). Will post a link here when I do . .
Christian, are we turning you into a wine geek? 😉 And for me, wine is the only way I will ever feel a part of the 1%., at least for a glass or two. I doubt i’ll ever reach the lofty heights of ‘Geek’. I do like the passion people feel.. Both from those with the stories of origin and the makers who are there for the whole journey. Got a great sense of place from this Simon. As I read this I felt like I was in a Swiss diorama of sorts, an enclosure as we get so so little of their wine here and invariably it is extremely pricey. Chasselas btw, especially amongst the natural wine aficionados, is not unknown but we get an acceptable amount of it from a much smaller region, the Savoie. Thanks for the dive into this hermetic but quite appealing reality of the Valais. Thanks Arnold. What do you mean by “Hermetic”? I couldn’t quite figure that out. I’ve never tasted Chasselas from the Savoie – A region I know almost less about than I did about Switzerland before I went there. I was referring to the use of the word as ‘closed off’. If only 1% of the wine is exported, its as if they exist in a closed wine economy specific only to their own economic needs and palates. We find more wine from the Canary Island here locally than we do from Switzerland btw. Amazing actually. Ah I see – makes sense. Yes, Switzerland is quite bizarre in this respect. What is notable is that overall production is small, and the Swiss like drinking their own product domestically. Still, this year’s conference and the succeeding trips showed that there is definitely a will to broadcast, if nothing else. I was recently in my favourite natural wine shop in Rome and found a 2003 Domaine de Beudon Fendant so despite the over €30 price tag, I felt like if I didn’t buy it right away i would regret it, so of course I bought it. José said it is one of the first Biodynamic producers. Like you, my experiences had been quite bland, but now that I know that there are excellent producers, I think I am willing to hand over a few extra € for a splurge every now and then. A month ago I would have scoffed at the idea of a Fendant of any year costing over €30. It is amazing how full immersion in a region changes your prospective. We made it home with a bottle of Domaine La Colombe’s Pechy La Colombe (old vine Chasselas from Vaud, also biodynamic) http://www.lacolombe.ch/portrait.asp?ID=16&vType=1&lng=En. It was a delight to open a saturday night dinner party – just carressed the tongue and woke up the palate in a delicate way. Also discovered that one of the Netherlands’s biggest wine chains (Gall & Gall) has just added Provin’s Fendant to their list. I’ve yet to track down a bottle, but will be interested to try it – at €9.99 it’ll be pretty good value, let’s see how the quality stacks up. Thanks for sharing your view on chasselas, Simon. With weightlessnes, silky soft texture, fragile, transparent (and thus particularly terroir-reflective) primary characteristics AND potential to age gracefully, good examples of chasselas are not only among the most “Zen-pure” wines out there, they are also the white parallel to pinot noir! Thank you for these recommendations which I hope to follow up in the future. This was unapologetically an article just about the Valais, as I have not yet visited Vaud or the other Swiss wine regions. I’m well aware that Valais is not considered to be necessarily the best region for Chasselas, however this was my personal journey to appreciation of the grape. Regarding your point about malolactic, I’ll have to get back to you once I’ve tried Dézaley.